The search for truth can be tiring and sometimes even debilitating. This is especially true when the search is taken too seriously. Fortunately, humor can be a major deterrent to these detrimental effects of truth searching. 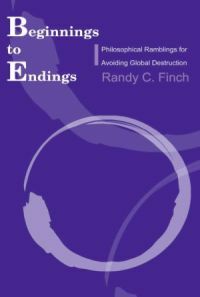 In Beginnings to Endings, the author provides a snapshot of where he is at in his search for truth that is both down-to-earth and entertaining.The author begins with the beginning of the Universe and ends with the end of the Universe. Along the way, he looks at topics of interest to all humankind such as religion, metaphysics, epistemology, ethics, politics, aesthetics, rights, government, and law. Humor is generously sprinkled throughout these normally dry, boring topics so they are accessible to all readers. And to top it off, an entire chapter is devoted to finding more time for having fun. Dont miss the authors surprising discovery involving time and a government conspiracy.